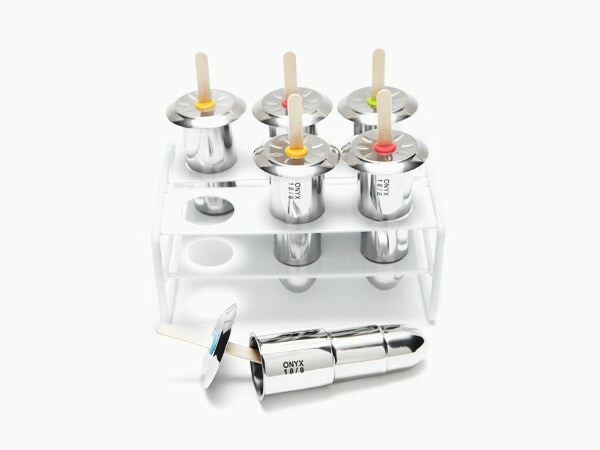 ﻿Stainless Steel ice pop molds have arrived!!!!! I designed this mold for my daughter, and its brilliant. Made from 18/8 stainless steel, this fast freeze mold is easy to use, easy to clean, and will last you a life time. Designed so that one ice pop can be removed (or re-filled) at a time. I designed this mold for my daughter, and its brilliant. Made from 18/8 stainless steel, this fast freeze mold is easy to use, easy to clean, and will last you a life time. 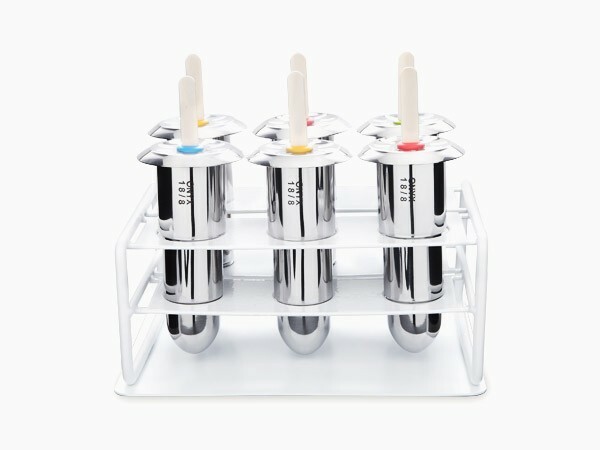 Designed so that one ice pop can be removed (or re-filled) at a time. Simply hold the mold in your hand for a moment, or run under warm water briefly. (Not too long, it will release very quickly.) Each set comes with one stand, 6 molds, 6 lids, 12 removable silicone rings, and a set of reusable bamboo sticks. The rings ensure proper stick placement. No more tilted stick, or sunken sticks or poped out sticks.